Rain gutters prevent roof runoff from leaking into basements and foundations, and from damaging exterior siding and seeping into interior walls. In order to function correctly and protect your home, your gutters need to be regularly cleaned. Removing leaves, tree flowers and seed pods, sticks and other debris keeps gutters flowing correctly and prevents rain from flowing over the sides and damaging your home and property. If you are looking for a good gutter cleaning service, keep reading for helpful articles about gutter cleaning professionals in Alameda County and your area. You know you want to hire a gutter cleaning company to clean your rain gutters and inspect them for leaks or problems. However, do you know what to look for in a good gutter cleaning service? The gutter cleaning professionals should be licensed and legally allowed to offer gutter cleaning services and other work in the state of California. The company you hire should carry liability and workers’ compensation insurance. This protects you and your property against accidental damage, and it protects you in case a company employee is injured on your property while cleaning your gutters. Your Alameda County gutter cleaning service should guarantee their work. If the completed work doesn’t meet your expectations and doesn’t fulfill their promise to you, they should be willing to redo the work to your satisfaction or refund your money. Is the company known for gutter cleaning, or is it just one service out of many that they offer? While some companies that offer a wide range of services provide quality gutter cleaning, you’re better off choosing a contractor that focuses its attention on gutters, gutter cleaning and maintenance. They’re more likely to have the tools and the expertise to do the job correctly. What tools toes the local gutter cleaning service use? If the company uses pressure washers and leaf blowers to blast gunk out of your gutters, you may want to choose a different company. While leaf blowers and pressure washers can get the job done, the high-powered spray of water and wind can damage your roofing and gutters, and they can cause gutters to disconnect from the roofline. This may cause irreparable damage to your gutters or to your home, and that can be frustrating and expensive to fix. Can’t I Clean My Own Gutters? Gutter cleaning is a task that some homeowners feel comfortable doing on their own. If you have the right equipment, don’t mind being on a ladder, and have the time, you may want to clean your own gutters. There are, however, several reasons why most homeowners in Alameda County and other areas prefer to hire a professional gutter cleaning company to take care of this particular chore. Climbing on a ladder and navigating your gutters can be a dangerous task. Slips and falls from roof-height can cause catastrophic injury. Hiring a licensed, insured professional to do the work can help keep you and your family members safe from accidents. Thorough cleaning, inspection and clog removal require specific tools and know-how. Most homeowners don’t have gutter cleaning tools. While you may be able to scoop leaves and debris from your gutters, getting into downspouts and other tight areas can be hard or impossible. This leaves your gutters less than clean and can create the need for expensive emergency clog removal and repairs. The time factor is also a big reason why many homeowners hire local gutter cleaning services in Pleasanton, Berkeley, Union City, San Leandro and Alameda and beyond. It can take time to get out the materials and perform the chore. Instead, professionals can come in and do the job while you’re at work or doing other things. Prices for gutter cleaning can be very reasonable, so the cost of outsourcing the job may be well worth the advantages of keeping your feet on the ground. 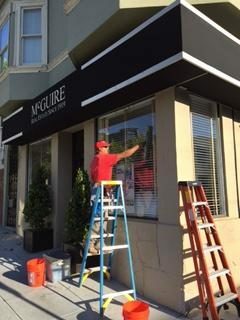 Some gutter cleaning companies in Alameda County, including some serving San Leandro, Berkeley, Hayward, Fremont and Oakland and beyond, provide commercial gutter cleaning services. These may include gutter inspections for commercial buildings, closed gutter system cleaning, and other services for office buildings, storefronts and shopping centers, multi-use buildings, civic and public buildings, and more. 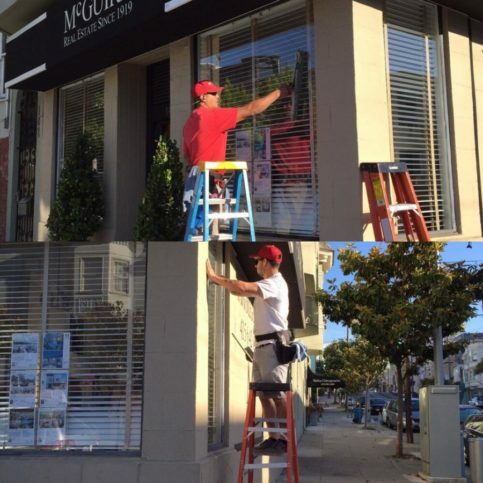 Not all companies have the know-how and tools that commercial gutter cleaning requires, however, so carefully vet Alameda County gutter cleaning companies and ensure the one you hire is able to do the job correctly and safely. Why Trust Diamond Certified Gutter Cleaning Companies Rated Highest in Quality and Helpful Expertise®? A gutter cleaning contractor removes leaves from a rain gutter. Your gutter cleaning company will need to know what you expect from them in order for them to be able to meet those needs. So start by writing down your reasons for hiring a gutter cleaning company, the services you think you need, your expectations of your contractor, and any other details that will be pertinent to your job. Begin by answering these questions and making notes you can refer to later if needed. Do I want a Diamond Certified gutter maintenance company that is top rated and backed by the Diamond Certified Performance Guarantee? What services do I need (leaf removal from gutters, gutter clog removal, routine gutter cleaning, gutter maintenance, rain gutter inspections)? When was the last time I had my home’s rain gutters cleaned? 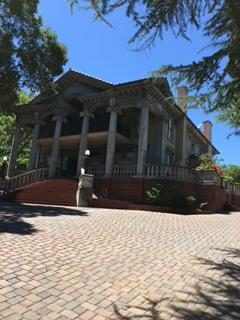 Your phone conversations with Alameda County gutter cleaning contractors in Pleasanton, Berkeley, Union City, San Leandro and Alameda and other local areas should give you a short list of good companies that stand out from the competition in terms of services, reliability and customer service. Can you show me proof of license, and liability and workers’ compensation insurance? Do you have the right equipment and training to do this job? Do you have available appointments that meet my schedule? How long will the gutter cleaning take? Do I need to be home while you are cleaning my gutters? What if you find damage, leaks, or other problems with my rain gutter system? Do you offer regular gutter cleaning services that I can schedule for annual maintenance visits? Are there add-on charges, or do you offer a flat fee? Will you need to use my home’s water or power supply to perform the gutter cleaning services? Do you charge a travel fee if my home or business is in Ashland, Castro Valley, Cherryland, Emeryville, Komandorski Village, Livermore, Mount Eden, Piedmont, Russell City, San Lorenzo, Sunol or outside of your immediate area? Who will perform my gutter cleaning? Are they fully insured and trained by your company? If you want quality from gutter cleaning services in Alameda County and the Greater Bay Area, you can have confidence choosing a Diamond Certified company. In fact, all Diamond Certified companies have passed an in-depth ratings process that most other companies can’t pass, so it’s best to choose among Diamond Certified gutter cleaning services. If you can’t find a Diamond Certified gutter cleaning services within reach, you’ll have to do some research on your own. If you do, it’s wise to call some references provided by your gutter cleaning services. However, it’s understood that references provided to you by gutter cleaning services in Pleasanton, Berkeley, Union City, San Leandro and Alameda and other areas are not equal in value to the large random sample of customers surveyed during the Diamond Certified ratings process. That’s because references given to customers from companies are usually cherry-picked instead of randomly selected from the company’s complete customer database. That means the contractors will likely give you a few customers to call that they know are satisfied, which can skew your reference responses. If you do call references on your own, specifically ask for a list of the Alameda County rain gutter cleaning company’s 10 most recent customers. This will help avoid them giving you the names of only customers they know were satisfied. Then make some phone calls and ask the following questions and other questions that will help you find the company that meets your needs. Were you satisfied with the service from (rain gutter cleaning company name)? What was the type and scope of job they did for you (routine gutter cleaning, gutter clog removal, downspout clog removal, gutter repairs, gutter leak detection and repair, fall leaf removal from gutters, winterizing, etc.)? Did the gutter cleaning contractor explain to you any problems they found or repairs that were needed? Did they show up as expected and complete the work on time? Were there unexpected costs associated with your gutter cleaning? If so, what were they for and were they avoidable? 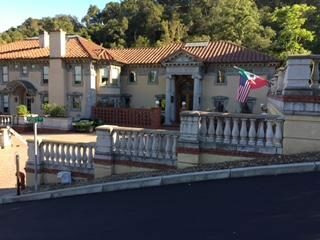 Did the gutter cleaning company charge extra to travel to your home if you live in a smaller Alameda County town or Castro Valley, Emeryville, Mt Eden, Russell City, Piedmont, Cherryland? Would you recommend this service to your friends or family? When you need rain gutter services in the future, will you hire this company again? Is there anything about this company or gutter cleaning in general that you wish you would have known? You’ve done your research and you’re almost ready to choose a gutter cleaning contractor. However, before deciding on the best gutter cleaning services in Alameda County for you, reflect on your notes and consider the following questions for one final review of your choices. Is there a gutter cleaning company that can meet your needs and expectations? Are the Alameda County gutter cleaning contractors knowledgeable about the methods and tools needed to clean your gutters in the best, most effective way? Are they able to provide the repairs your gutters may need? Can they easily explain to you any additional services or repairs your rain gutter system needs? Is the company sensitive to your budget? Can they give you varying bids that address your resources and the specific needs of your home rain gutters? Do the Alameda County gutter cleaning experts guarantee their work and services? Gutter cleaning is a routine chore, but it’s also one that you’ll need to have done one or more times every year. For that reason, it’s important that you find a local gutter cleaning service that you like and trust. There are many gutter cleaning companies in Alameda County, including those that serve San Leandro, Berkeley, Hayward, Fremont and Oakland and areas near you. Some offer the quality and professionalism you demand, while others can’t stand up to the competition. It’s in your best interest to take your time when choosing contractors, including those who offer gutter cleaning services. Interview some of the best local companies over the phone to find out what they can offer you, and then invite the stand-outs to your home or business to see the scope of work. Ask them for a written estimate. Check for proof of insurance and license, and talk with some current customers of the companies you’re considering. It may sound like a lot of details, but finding Alameda County gutter cleaning companies you trust is well worth the work. You’re smart to be choosy about the contractors you hire. But did you know that many local gutter cleaning companies are selective about the homeowners they serve? Many have limited time and resources, and it can be expensive to prepare bids. Likewise, demanding customers, clients who are unreasonable, or those who don’t respect the contractors and their needs can be hard to deal with. Instead, the best gutter cleaning companies are looking to serve clients who value their services and treat them with respect and fairness. How can you be the kind of homeowner that the best gutter cleaning contractors want to work with? See the tips below. Prove your interest in value instead of seeking the lowest bid for gutter cleaning. Show your interest in quality by asking questions about cleaning methods, tools, techniques, warranties and value rather than price alone. It’s smart to talk with several companies and accept multiple bids. However, only shop among carefully-selected gutter cleaning companies that offer quality work and don’t accept more than three bids. Tell your contractor exactly what you want done. Offer specific directions or requests, and be honest about your expectations. This will allow them to give you the most accurate bid possible. If they can’t provide what you need or want, it’s better to find out before you’ve wasted your time and theirs. Interview and choose among local gutter cleaning companies in Alameda County, including Oakland, Fremont, Hayward, Berkeley, San Leandro, Alameda, Union City, Pleasanton, Newark and Dublin and beyond. 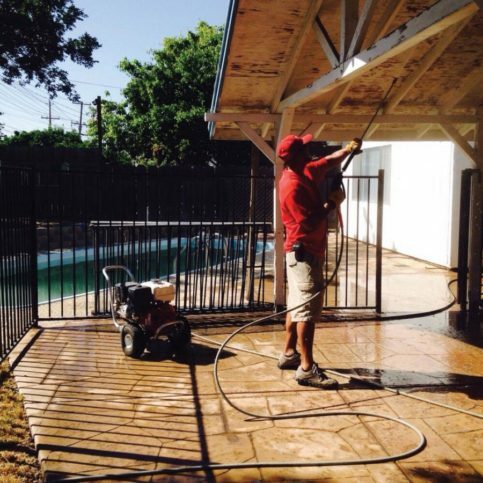 Most gutter cleaning services prefer to work within a smaller radius, as this allows them to provide faster service. Once you’ve found the Alameda County gutter cleaning company that meets your needs, it’s time to sign a contract and set up a cleaning appointment. Carefully review the contract and make sure that you understand all terms and exclusions. Don’t sign a contract that you don’t agree with, or one that you don’t completely understand. This is the time to ask any questions you may have. You should also resolve any verbal agreements or details. Talk about whether you will need to be home during the gutter cleaning services, who will provide the work, whether debris will be removed from your property, and how payment should be remitted. Even though you may have already talked about these details, it can be smart to review them to be sure you and your gutter cleaning service have the same expectations. Then set an appointment for the work to begin. Your gutter cleaning company may not need you to do anything special before they arrive. However, there are a few steps you can take to help the work go faster and more smoothly. 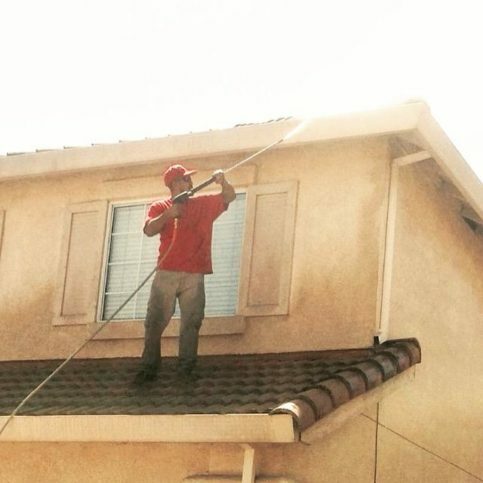 These simple steps can eliminate risk of injury or damage to you, your property, your family and your contractor, and they can cut down on the amount of billable time by letting your gutter cleaning service focus on the job at hand rather than extemporaneous details. Make a list of specific services and repairs, and write down any questions or concerns you may have about the job at hand. This will ensure you get the service and answers you need and may possibly cut the length of time the job takes, reducing billable hours. Clear unnecessary items from the area where the contractor will be working. For example, move yard decorations, trim shrubs or trees, and remove possible hazards from the area around your home. This will cut down on the amount of time your contractor has to spend clearing the area in which they’re working. Keep pets and children out of the area while your Alameda County gutter cleaning contractor is working. This will keep your family and your contractor safe. Ask if there’s anything you can do to help speed the job along or make the work easier. There may be simple steps you can take to increase the contractors’ efficiency, thereby limiting the overall cost of the job. How Can You Be a Good Gutter Cleaning Services Customer? Here are a few simple steps you can take to be a good customer when hiring Alameda County gutter cleaning services. Be clear and upfront with the gutter cleaning services. Let them know what you want from your gutter cleaning services, the long-term outcome you’re expecting and specific ways they can satisfy your expectations. Before you hire a gutter cleaning services in Alameda County, restate your expectations and goals, and reiterate to the gutter cleaning services representative your understanding of the agreement. Most problems with local gutter cleaning services occur because of a breakdown in communication. By being clear about your expectations and theirs, you can avoid most conflicts. Ask your gutter cleaning services if you should call to check on the progress or if he will call you with updates. Be sure your service representative has a phone number where they can reach you at all times while they’re gutter cleaning services. The work will move along more smoothly if your gutter cleaning services can reach you for any necessary updates, questions or work authorizations. When your contractor contacts you, return calls promptly to keep the gutter cleaning services on schedule. Pay for the gutter cleaning services work promptly. Why would you want to be a good customer? 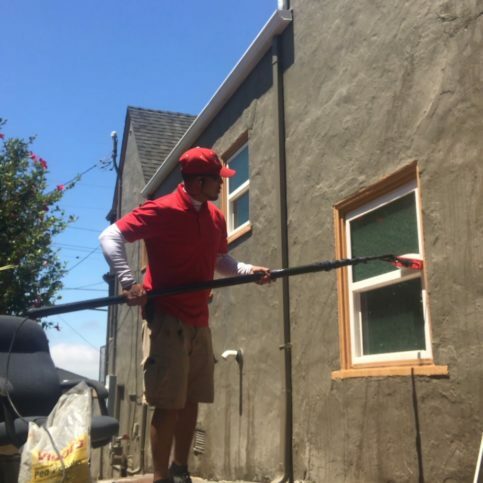 Gutter cleaning services in Alameda County, including San Leandro, Berkeley, Hayward, Fremont and Oakland, San Lorenzo, Sunol, Komandorski Village, Livermore, Ashland, Piedmont, Emeryville and beyond appreciate customers who are honest and easy to work with. Your good customer behavior helps set the tone for your working relationship. When the gutter cleaning services have been completed, ask for a detailed written invoice. Review the invoice, ensuring that it lists the work for which you contracted and the services you expected. Look for any unexpected fees and ask about them. You may also ask your contractor to show you any areas that are damaged, worn, need repairs or that were repaired. The rain gutter cleaning contractor’s name, physical address and state license number. The total cost for the gutter cleaning services, including itemized labor fees. Not all gutter cleaning companies guarantee their work, but those that do should be willing to put their promises in writing. If your Alameda County gutter cleaning service offers guarantees on their services, get proof of that warranty. The Alameda County gutter cleaning services contractor’s name, physical address and state license number. A description of what exactly the warranty covers. This should include whether the contractor will repair or replace faulty materials or workmanship. Any exclusions to the warranty must be explicitly stated. Your responsibility in the case of a problem. What you need to do in order to redeem the warranty should the need arise. How long the warranty is valid, and whether the coverage expires on a specific day or is prorated. 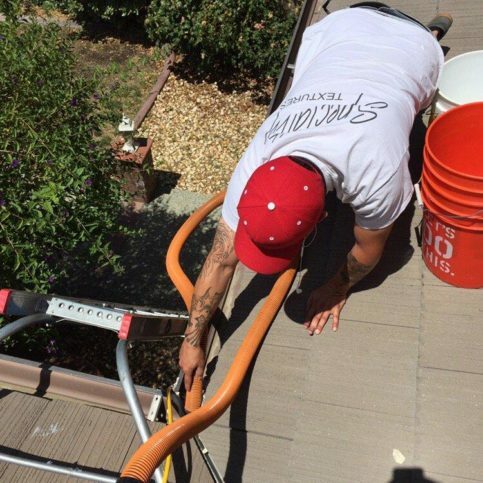 Homeowners in Alameda County, including those in San Leandro, Berkeley, Hayward, Fremont and Oakland and other areas, request a variety of services from their local gutter cleaning contractors. Here are some of the most commonly asked-for gutter care services. Leaves and other organic matter from trees can fill gutters during fall. The leaves, if not removed, can become compacted by rain and weather, and that can cause overflowing gutters, clogged gutters, gutter leaks, and other problems. Gutter cleaning companies will remove leaves from gutters to keep rain flowing through them freely. Routine fall leaf removal services can extend the life and effectiveness of your home’s rain gutters. Commercial buildings, public and civic buildings, businesses, shopping centers, and even mixed-use buildings may have gutter systems that require routine cleaning and maintenance. These buildings may have closed rain gutter systems or traditional open gutters that require special equipment and handling to get them cleared out, prevent clogs, and keep water drainage running smoothly. 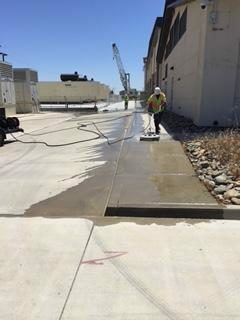 Not all Alameda County gutter cleaning services can provide commercial gutter cleaning, so interview potential candidates carefully to ensure that they have the equipment, expertise and staff to complete the job correctly. Large storms, sudden deluges and heavy rains can cause gutters to become clogged, overflow, leak or become damaged. Some gutter cleaning companies in Alameda County offer emergency gutter cleaning services. While they will cost more than scheduled gutter services, emergency gutter cleaning can clear clogs, remove leaves and debris, prevent rain overflow, and can keep rain water from damaging your home or business. Call your local gutter cleaning companies and find out which ones offer emergency services in case you ever need them. 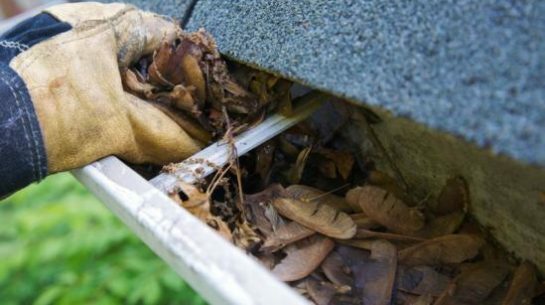 When rain gutters become clogged with leaves, seeds, bird or squirrel nests, sticks, organic matter and other materials, they can overflow and even leak. Gutter cleaning companies offer clog removal services that remove the clogs and help gutters flow right. The horizontal portions of rain gutters aren’t the only sections that can become clogged. When leaves, sticks and other material builds up in downspouts, they, too, can become clogged. This can cause rain water to back up into the gutter runs, which can cause overflow and other problems. Downspout clogs may be harder to remove due to the enclosed nature of most downspouts, so you may need to call a good Alameda County gutter cleaning contractor with the right tools and experience to fix the problem. Most homes in Alameda County and the Greater Bay Area have gutter systems to move rain water from roofs and away from homes. Residential gutter cleaning services in Oakland, Dublin, Fremont, Newark and Hayward and other areas can maintain, clean and inspect your rain gutters for potential problems and keep them draining efficiently. While most gutter cleaning companies focus on cleaning and maintenance, some will offer minor rain gutter repair services. These may include reattaching sagging gutters or replacing gutter clamps and clips that affix the gutters to the roof or side of the building. Rain gutter repairs may include leak detection and repair, or repairing rain gutters that have been damaged by falling limbs or downspouts that have been flattened or restricted. Ask your gutter cleaning service if they provide rain gutter repairs and, if so, what types of repairs they offer. Leaky gutters can cause moisture problems including mold, mildew, soggy earth around the foundation, and even foundation leaks and cracks. If your gutters are leaking or you’re concerned that you may have a gutter leak, call Alameda County gutter companies in Pleasanton, Berkeley, Union City, San Leandro and Alameda and near you that offer gutter leak detection and repair services. Underground gutters, including downspouts that drain into the ground, can be prone to clogs. Some Alameda County gutter cleaning companies have specialized equipment and the know-how to clean, maintain and repair underground gutter drains. If your home or commercial building has underground gutter drains or underground gutter components, be sure your gutter cleaning service is equipped to deal with their unique features. Commercial buildings, public and civic buildings, businesses, shopping centers, and even mixed-use buildings may have gutter systems that require routine cleaning and maintenance. These buildings may have closed rain gutter systems or traditional open gutters that require special equipment and handling to get them cleared out, prevent clogs, and keep water drainage running smoothly. Not all gutter cleaning services can provide commercial gutter cleaning; they must have the equipment, expertise and staff to complete the job correctly. When leaves, sticks and other material builds up in downspouts, they can become clogged. This allows rain water to back up into the gutter runs, which can cause overflow and other problems. Downspout clogs may be harder to remove due to the enclosed nature of most downspouts, and only gutter cleaning contractors with the right tools and experience may be able to fix the problem. The vertical pipe that carries rain water down from the roof gutters to the ground is known as the downspout. The elbow of gutters is the curved section that allow the gutters to bend and curve. Gutter elbows are where many clogs get stuck and cause problems. Large storms, sudden deluges and heavy rains can cause gutters to become clogged, overflow, leak or become damaged. Some gutter cleaning companies offer emergency gutter cleaning services. While they will cost more than scheduled gutter services, emergency gutter cleaning can clear clogs, remove leaves and debris, prevent rain overflow, and can keep rain water from damaging your home or business. Gutter cleaning includes annual maintenance and cleaning, leaf and debris removal, leak detection and more. These services can prevent gutters from becoming clogged and can keep them functioning better over time and help gutter systems last longer. Leaky gutters can cause moisture problems including mold, mildew, soggy earth around the foundation, and even foundation leaks and cracks. If your gutters are leaking or you’re concerned that you may have a gutter leak, call Alameda County gutter companies that offer gutter leak detection and repair services. Some gutter cleaning companies offer minor rain gutter repair services, including reattaching sagging gutters or replacing gutter clamps and clips that affix the gutters to the roof or side of the building. Rain gutter repairs may include leak detection and repair, or repairing rain gutters that have been damaged by falling limbs or downspouts that have been flattened or restricted. Services that care for rain gutter systems include gutter cleaning, rain gutter clog removal, seasonal gutter maintenance, and winterization for gutters. Most local gutter cleaning companies offer a full range of gutter services to keep rain gutters functioning at their peak. Horizontal rain water channels that are installed at the edge of a roof to carry rainwater or melted snow away from the house are known as gutters. Sections of downspouts, or a section of gutter that leads from the gutter that runs parallel to the roof, allow rain water to drain to the ground. The combination of the eaves troughs (gutters or runs) that collect and divert rain water shed by the roof and the vertical pipes (leaders) that carry the water down from the roof gutter. Gutters that have leaders that drain into an underground or buried pipe are sometimes referred to as “underground drains”. Underground drains are known for becoming clogged or to stop draining correctly due to age, poor construction or lack of maintenance. Gutter cleaning contractors should be able to clean underground drains and keep them functioning correctly. Q: Why choose a Diamond Certified gutter cleaning services? A: Diamond Certified helps you choose a gutter cleaning services with confidence by offering a list of top rated local companies who have passed the country’s most in-depth rating process. Only gutter cleaning services rated Highest in Quality and Helpful Expertise® earn the prestigious Diamond Certified award. Most companies can’t pass the ratings. American Ratings Corporation also monitors every Diamond Certified company with ongoing research and ratings. And your purchase is backed by the Diamond Certified Performance Guarantee, so you’ll feel confident choosing a Diamond Certified gutter cleaning services. Q: What are signs that my gutters need cleaning? A: Clogged or backed-up gutters won’t properly filter water off of your roof. Instead, you may see rain water pouring over the top of your gutters, leakage from the gutters continuing long after a rain, downspouts that don’t filter rain or only allow through a small trickle of water, and even water leaks in your home. If your gutters aren’t running as smoothly or efficiently as usual, call a gutter cleaning professional to look for problems, including clogs and damage. Proactive cleaning can help prevent clogged gutters. Q: Why should I have my home’s rain gutters cleaned regularly? A: Clogged gutters and gutters that are choked with leaves, twigs and debris can damage your roof, and they can cause pooling around the foundation of your home, which can result in water damage, foundation problems, mold, water seepage and other problems. Q: Why should I hire a professional to clean my gutters? A: Gutter cleaning is a task that many homeowners can perform on their own. However, there are many reasons to consider hiring a professional. The number one reason is safety. Gutter cleaning contractors are experts who have the experience and equipment to do the job quickly and safely. Additionally, many homeowners don’t have the best equipment for gutter cleaning, so the job may take hours to finish, and it may not be done with the same expertise and outcome as a professional could offer. The price for gutter cleaning is generally very reasonable and is often well worth avoiding the risk of injury and damage. Q: Do I still need to have my gutters cleaned if I have installed gutter covers or screens? A: Yes. While gutter screens, gutter covers and other types of gutter guards can be helpful in keeping gutters running smoothly and preventing clogged gutters, regular cleaning and maintenance for gutters is always recommended to keep them in their best working order. Q: How often should I have my rain gutters cleaned? A: Depending on your home, your gutter system, the age of your gutters and roof, and the plants and trees near your home, most gutter experts recommend having a professional gutter cleaning company provide services twice a year. Usually they advise cleaning gutters in spring or early summer once seed pods and tree blossoms have fallen, and again in the late fall once the leaves on local trees have fallen. Your gutters may need to be cleaned more or less frequently based on your unique location and gutter system. For example, if there are no tall trees in close proximity to your home, an annual inspection and cleaning as needed may be all your home requires. However, if your home is surrounded by many large trees that lose their leaves, you may need to have your gutters cleaned four or more times per year as the leaves, tree flowers, seed pods and other debris fall. Q: How are gutter cleaning services performed? A: Depending on the capabilities and preferences of the gutter cleaning company and your requests as their client, most gutter cleaning services clean gutters by hand using specialized tools. Most companies use pressurized water or air to clear debris out of gutter leaders and downspouts. Some companies will use brushes, scopes, video equipment and other techniques to completely clean gutters, test for problems or defects, locate defects, and repair minor leaks and other problems. Good gutter cleaning services will remove all debris from your gutters and dispose of it off premises, or according to your requests. Major repairs may need to be repaired at a different time or by a gutter repair professional. Ask your gutter cleaning service how they clean gutters and how effective their methods are. Q: Why do rain gutters get clogged? A: Excessive amounts of leaves, tree seed pods (especially the helicopter-type seed pods), petals and debris from flowering trees, sticks, nests of birds and squirrels, and other debris can cause rain gutters to become clogged. While a heavy rain may wash some smaller debris and leaves from downspouts and gutter runners, large amounts of leaves, seed pods and larger detritus like nests and sticks can back up and cause clogs. In fact, gutters with large amounts of sediment and debris can encourage seeds to grow, which can create big problems and clogs in your gutters. Q: Is gutter cleaning expensive? A: Prices for gutter cleaning services vary depending on the area in which you live, the pitch and height of your roof, the amount and style of gutter system on your home, and the level of professionalism of the gutter cleaning company you hire. However, the cost of preventative gutter cleaning can be very reasonable and can save you money by keeping your gutters in good working condition and preventing leaks and damage to your roof and home. Call a good local gutter cleaning service to learn about their pricing and availability. Q: How long do gutter cleaning services take? A: Depending on the size of your home, the work that’s needed, the amount of time that’s passe since your gutters were last cleaned, the method that your gutter cleaning contractor is using, and more factors, cleaning the rain gutters of most homes takes less than an hour to complete.